The ways in which citizens modify public spaces to suit their own needs, whether by creating ‘goat trails’ in places that lack proper sidewalks or actively ‘hacking’ infrastructure, tell urban planners how cities need to be adapted and influence their growth. 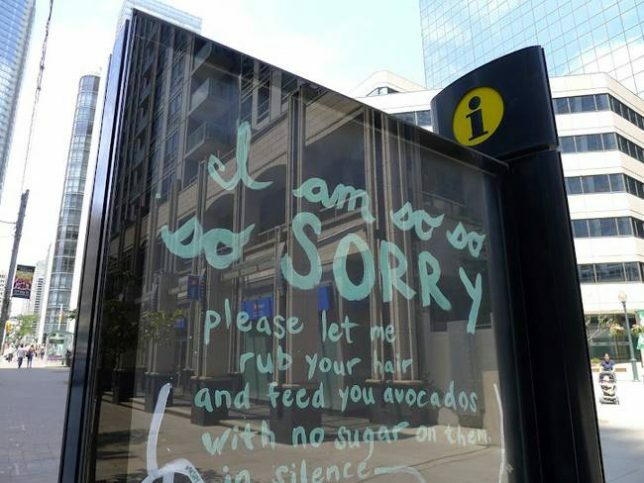 Urban hacktivism is a direct means of shaping cities to our desires, often through temporary guerrilla actions that ultimately lead to more permanent solutions. 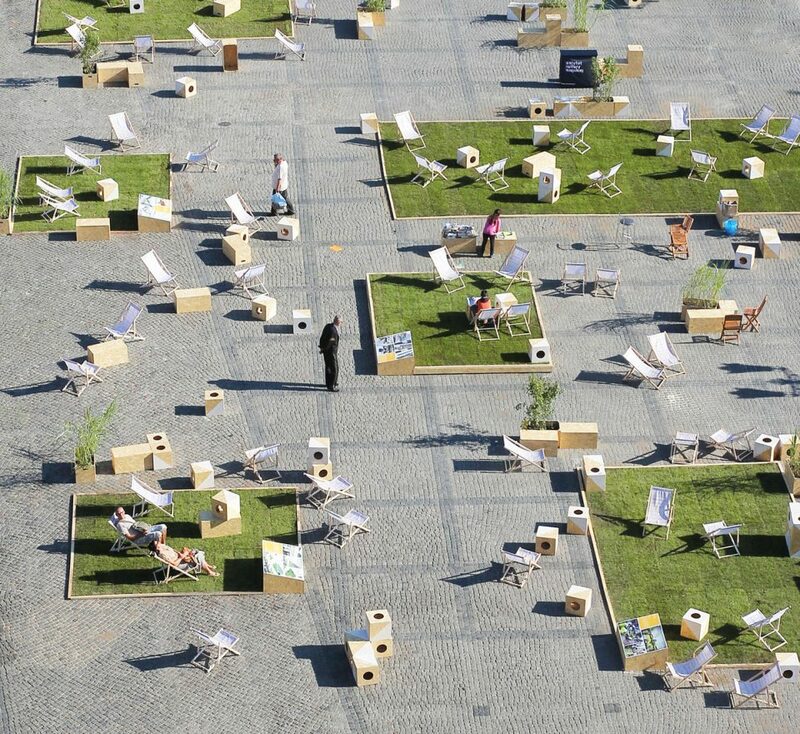 These city hacks range from taking over disused public squares and installing seating for the elderly to infusing everyday scenes with humor and fun, making the urban landscape one big playground. 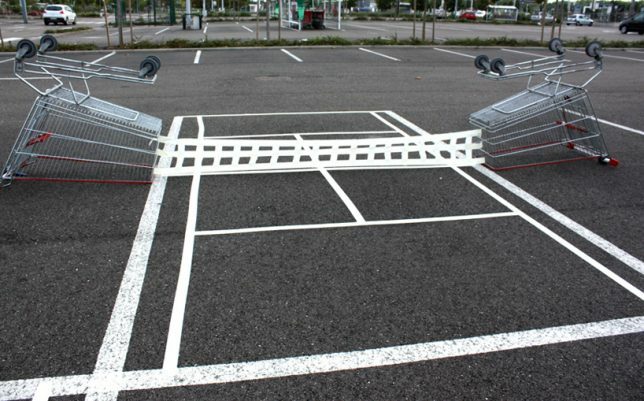 Among the many city hacks by French artist and activist Florian Riviére, the project ‘Don’t Pay, Play’ encourages customers to linger in the parking lot of a shopping center rather than going inside. 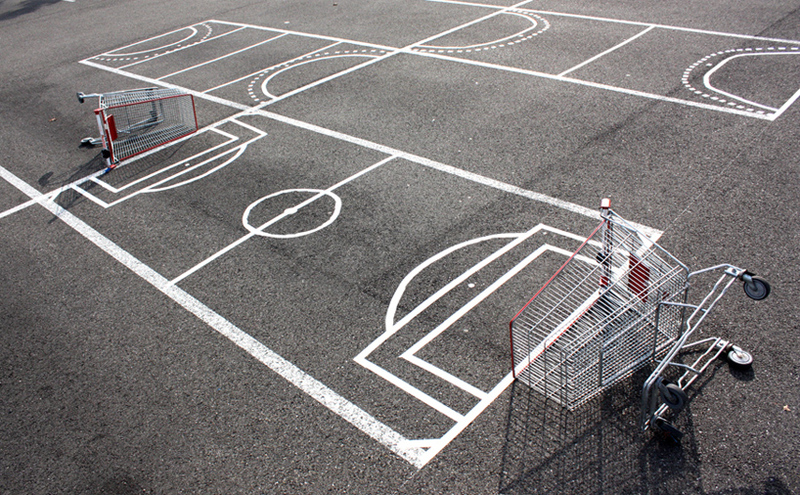 The parking spots are modified using nothing more than some white tape to transform them into courts for basketball, hockey, tennis and more, with shopping carts used as goal nets or structural supports. 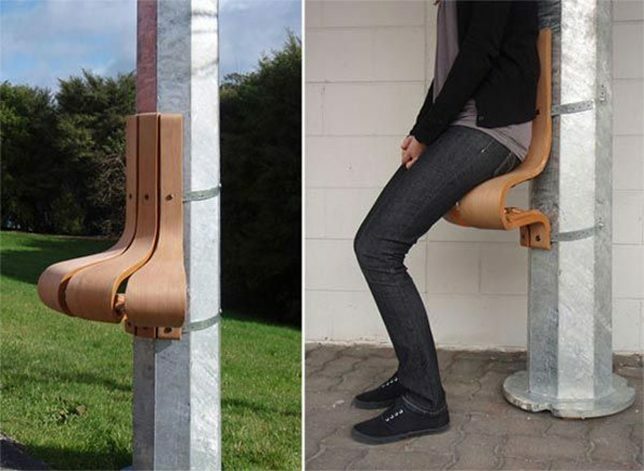 Any light pole can become the backrest for a seat with ‘Wanderest’ by designer Nichola Trudgen. Easy attaching to any circular or octagonal lamp posts, the leaning stool is strategically installed in retirement areas where there’s little to no public seating available. 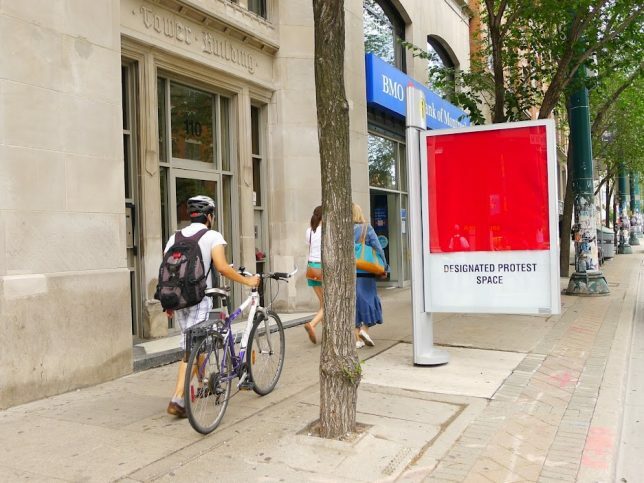 So-called ‘info pillars’ in Toronto tend to contain advertisements instead of anything that’s actually useful for people exploring the city on foot. They also block large sections of the sidewalk, disrupting the flow of pedestrians. Creative team cARTographyTO hacked 35 of the signs and filled them with art, sculptures, maps and chalkboards, which got the attention of the city and encouraged them to reconsider their use of the pillars. 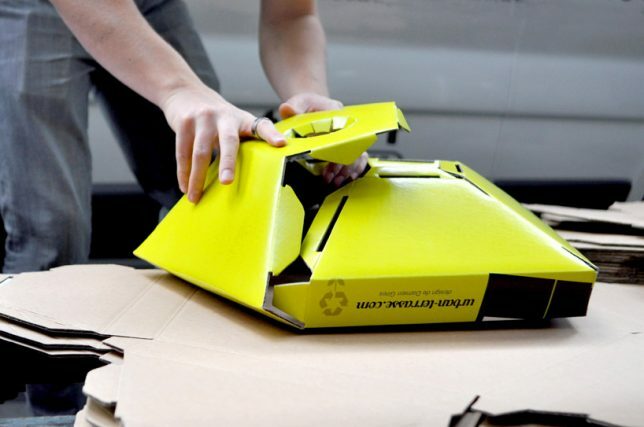 Octagonal cardboard boxes pop right onto existing anti-parking posts on the sidewalks of France, turning them into mini tables for adjacent cafes. 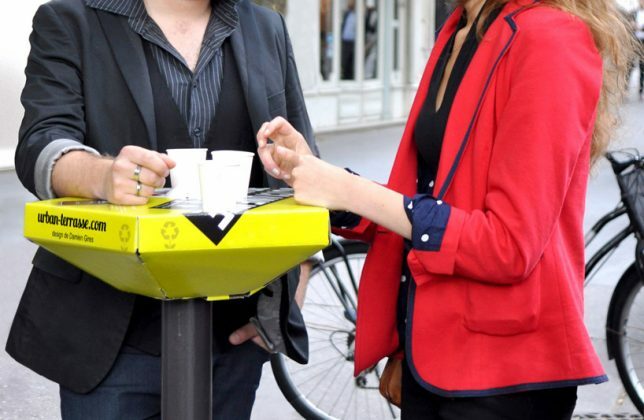 ‘Urban Terrasse’ by French designer Damien Gires makes the sidewalks more functional, and encourages patrons of cafes lacking outdoor seating to be more engaged with their city environments.